Please note all available tickets are currently claimed. As this is a free event, we encourage individuals without a ticket to attend - any open seats will be offered to non-ticketed audience members on a first come, first served basis beginning at 5:45PM. with this FREE dinner and a movie. All are welcome! "The rare true story-based historical drama that succeeds at being as inspirational and feel-good as it aspires to be." 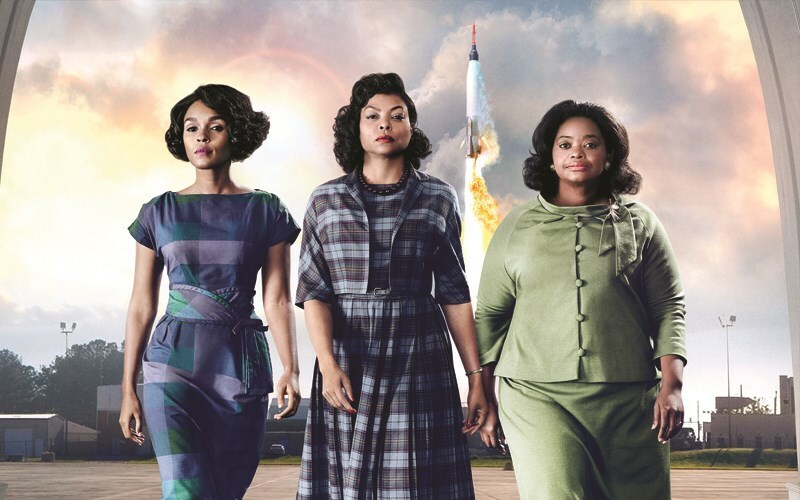 Hidden Figures tells the incredible untold story of Katherine Johnson (Taraji P. Henson), Dorothy Vaughn (Octavia Spencer) and Mary Jackson (Janelle Monae) - brilliant African-American women working at NASA who serve as the brains behind the launch into orbit of astronaut John Glenn, a stunning achievement that turned around the Space Race. The visionary trio crossed all gender and racial lines and inspired generations. Dr. Jeanette J Epps was selected in 2009 as one of 9 members of the 20th NASA astronaut class. Her Astronaut Candidate Training included Russian Language training, spacewalk training, robotics, T-38 jet training, geology and National Outdoor Leadership School training. After graduating, Dr. Epps continued training by participating in NEEMO (NASA Extreme Environment Mission Operation), geologic studies in Hawaii, and language immersion in Moscow as well as continued training in EVA, robotics and T-38. Dr. Epps served as a representative to the Generic Joint Operation Panel working on crew efficiency on the space station as well as other topics, served as a Crew Support Astronaut for two expeditions, and served as lead CAPCOM in mission control. Many thanks to our evening partners: Iowa City Police Department, Iowa City Community School District, Beloved Community Initiative, NASA and Black Voices Project. Please conact henri-harper@iowa-city.org for all media or press inquiries.